While I can't say for sure whether it's system ability or previous employers' onerous limitations, there's a lot to like about this system. It allows bulk-updating, modifications seem to be easy for IT to implement and remove, and it plays nicely with Crystal Reports for more formal reporting or data-mining needs. Some modifications can also help with this. For example, my company has created a new screen where we can see orders that are entered at an unusually low or high price, to catch errors on order entry before orders go out. Some of the security is good too. We can restrict user ability to do things on certain pages, but can't restrict their ability to see the pages themselves. I allude to this in the best of comments, it really needs to play nicely with Crystal because there's not really a good way to datamine inside the system. You either need to use Crystal or Access to query out data, even simple things like previous pricing. You also need to know address codes for different screens, as the menus aren't great at sussing out what you want. Some of the security is good too. We can restrict user ability to do things on certain pages, but can't restrict their ability to see the pages themselves. Find a good developer who also uses SX in their work, who can help with modifications so that the system can do exactly what you need. We use SX for our entire ERP system, aside from CRM. Order taking, pricing, invoicing, accounting/books, inventory, purchasing, shipping are all handled within SX. "Gets the job done but lacking in integration and user interface." I like all of the features of SX enterprise. This application truly can perform all of the tasks one could need from an ERP. The application still runs on outdated database models and if you have ANYTHING you want to change or get out of the system that is not already there you will end up paying through the nose to get it. Though the learning curve for this application is steep, once you have the essential business flow down SX does provide all of the tools you need. "SX.e has great content management"
I like how all services are integrated into this product which makes it excel for the customer service department. Old styled layout with many bugs and minimal updates. Seem's a bit outdated. Supply chain related to the shipping department, and cross functionality between different departments to solve all aspects. "SX Enterprise ERP Does Everything"
I like how all the parts (AP, AR, Order Entry, Inventory, etc...) are all tied together in one system and on top of that the system is very focused on the GL side of things, this pleases our CFO very much. I dislike how hard it is to upgrade to a new version. 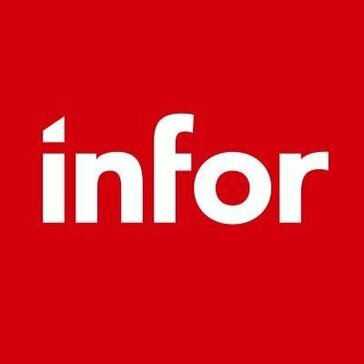 Technical support is also very lacking at Infor. We have much better accountability of our inventory and better inventory turns. "helps with keeping supplies ordered." Not having to go through the task of constantly reordering by scrolling through websites or catalogs. Sometimes auto corrects certain products and we don't notice until product is delivered. Give it a try and see if it helps to improve your business. Not having to worry about human error and spending an excess of time doing the ordering. I like that it contains virtually all of the tools necessary to run a business from reporting to inventory management. It can be a bit cumbersome to navigate until youve spent a good deal of time in the system. It's given us an incredible amount of flexibility when it comes to synergy and leveraging our company's assets. Lots of customization options which can be a good and bad thing. Number one thing I am fighting now is API calls to Cimm2. It certainly gives us lots of reporting options which we did not have before with our old system. "Not a reliable system for inventory control"
it's fairly user friendly for moving through the software from module to module. search function is not user friendly. There are multiple screens and an overwhelming amount of material that pops up when you are doing a search. We use it for purchasing and warehouse distribution. It can be customized. "A lot of steps for simple things "
* We monitor all SX.e Distribution reviews to prevent fraudulent reviews and keep review quality high. We do not post reviews by company employees or direct competitors. Validated reviews require the user to submit a screenshot of the product containing their user ID, in order to verify a user is an actual user of the product. Hi there! Are you looking to implement a solution like SX.e Distribution?